One of the most addictive mobile games ever 5 Reasons Angry Birds Is So Damn Addictive 5 Reasons Angry Birds Is So Damn Addictive My name is Dave Parrack, I'm a 34-year-old freelance writer from England, and I have a problem. I'm addicted to playing Angry Birds. Being hooked on catapulting feathered weapons of mass destruction into smug pigs... Read More , Angry Birds, is out with a new part in the series. 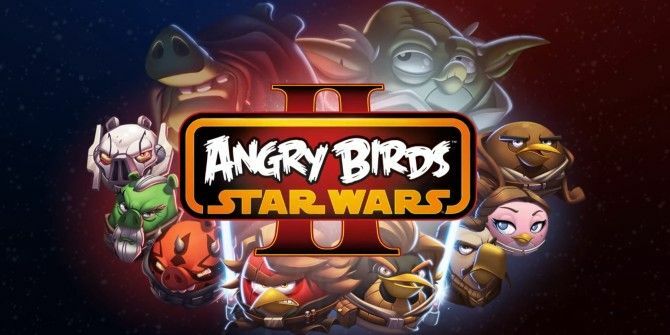 Angry Birds Star Wars II is out now for Android, iOS, Windows Phone 8 and the Kindle Fire for 99 cents. Only on Android, the game is also available as a free download, supported by ads. Unlike the first Angry Birds Star Wars Are These The Birds You're Looking For? The Angry Birds Star Wars Review [MUO Gaming] Are These The Birds You're Looking For? The Angry Birds Star Wars Review [MUO Gaming] In late 2009 Finnish developer Rovio did what every small development studio aspires to do - made it big with a simple yet addictive game. The recipe for success, or "milking it" was staring them... Read More , this time, you aren’t restricted to being a Jedi master fighting for the good of the universe. The new game lets you switch sides to join the “Pork Side” and play as the pigs, or in this case, Darth Vader, Darth Maul, General Grievous, Emperor Palpatine and others. That’s not to say you can’t fight for the good, with Yoda, Anakin Skywalker, Mace Windu, Jango Fett and many others from more than 30 playable characters. Each character comes with their own powers to help you tackle the puzzles. There’s lots of gameplay promised, with two levels (Naboo Invasion and Escape To Tatooine) that each have plenty of missions in them. Another cool feature is that you are granted the ability to buy powerful characters and swap them on the fly, letting you call upon the strengths of particular characters in times of need. These characters can be bought or unlocked by earning points in each level. Like with its predecessor, we hope this one will hit PC and Mac soon. Explore more about: Angry Birds, iPhone Game, Windows Phone.